Enjoy beautiful Federal Way, Washington, a city located between Seattle and Tacoma. Nestled along Puget Sound, this suburban city is surrounded by Des Moines, Kent, Auburn, Fife, and unincorporated King County. Federal Way’s population of 89,306 makes it the tenth largest city in Washington state. Traveling to Seattle for business or leisure? 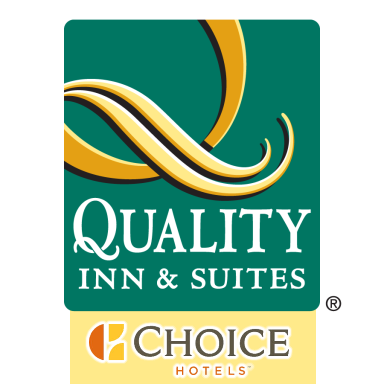 The Quality Inn & Suites in Federal Way, Washington located just south of Seattle-Tacoma International Airport provides convenient access to the state largest city. While staying at our hotel you can visit several tourist destinations in the Seattle area including the Space Needle, Pike Place Market, Seattle Center, and the Museum of Flight. Seattle plays a crucial role in business and commerce, with major corporations such as Boeing, Weyerhaeuser, and Microsoft located in the area. As one of the largest sea ports along the west coast, the city is a leading trading partner with Asia. A port city located south of Seattle on the shores of Puget Sound, Tacoma, Washington is the third largest city in the Washington. Nicknamed the "City of Destiny" as a result of being the end point of the Northern Pacific Railroad, Tacoma is the major business center for the South Sound region. Featuring tourist destinations such as the Tacoma Dome, Point Defiance Zoo and Aquarium, and the Narrows Bridge, Tacoma has plenty to offer for business travelers and sightseers alike.